I am ms. indecisive. Ms. it take lots of deliberation and thinking before I can decide what I will eat for lunch. For a person like me, salat al istikhara is a life saver. For a while now I've been confused about a matter that is very dear to me and alhamdulilah duaa al istikhara was the most perfect solution to my issue. If you've never attempted to pray istikhara for a matter of importance to you, you are truly missing out. Istikhara means to "seek goodness" from Allah swt, so by asking Allah for goodness you are asking for his guidance on whether the matter is good for you or not. The prophet pbuh said, "If anyone of you thinks of doing any job he should offer a two Rakat prayer other than the compulsory ones and say (after the prayer)." [Bukhari, Volume 2, Book 21, Number 263] This is how you pray salat al istikhara. TRANSLATION: "O Allah! 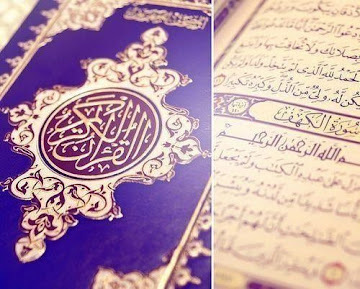 I seek goodness from Your Knowledge and with Your Power (and Might) I seek strength, and I ask from You Your Great Blessings, because You have the Power and I do not have the power. You Know everything and I do not know, and You have knowledge of the unseen. Oh Allah! If in Your Knowledge this action ------------------------------------------------ (which I intend to do) is better for my religion and faith, for my life and end [death], for here [in this world] and the hereafter then make it destined for me and make it easy for me and then add blessings [baraka'] in it, for me. O Allah! In Your Knowledge if this action is bad for me, bad for my religion and faith, for my life and end [death], for here [in this world] and the hereafter then turn it away from me and turn me away from it and whatever is better for me, ordain [destine] that for me and then make me satisfied with it." We constantly hear that life is short. Sadly we won't truly understand how short our lives are until they're over. A story such as this may put death into perspective for us. Rasul Allah (sal Allahu alaihi wa sallam) said, "The most intelligent person is the one who remembers death often." I only lived 26 years. My 27th birthday was exactly 2 weeks away. I always imagined I would live long. At least until age 60. It wasn’t imaginable that I would have such a sudden death. I had graduated from university of south California three years earlier with a degree that means absolutely nothing right now. Shortly after I landed a job as the marketing director of a major clothing company. Aside from the usual life problems, I was living a normal life. My girlfriend of 4 years was starting to pressure me into us getting a place together. I knew I wasn’t supposed to have a girlfriend in the first place but I enjoyed her company and friendship. I wasn’t ready to give that up. I used to always tell my self that eventually id marry her. Plus what would these few years of living a sinful life mean by the time I got older. My job, girlfriend and life long friend took up the majority of my time. It seemed I never had time to offer salah. I hardly had time to sit down and eat. 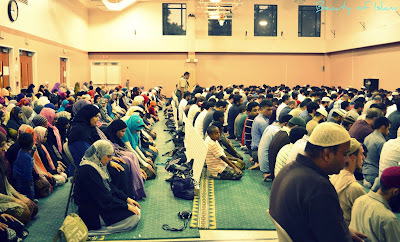 Offering salah was something that continuously bugged me. The more I postponed my salahs, the more it irritated me. I did give an effort to keep up on my salah. But for the last 2 years of my life I gave up. I pretty much stopped making salah altogether. I never made it home in time to make salah. SAW 3 was a walk through the rose garden compared to what I was about to experience. I was doing about 85 on the 10 freeway. At 12 midnight, 85mph is not considered speeding. Omar flipped through the FM radio stations searching for a song he liked. Malik had fallen asleep in the back seat. I began to dose off too. I used to hate when that happened. I shook out of what seemed like a 10 second snooze. I tried to keep my eyes open. But again I dozed off. Omar screamed, “HEY!” it was too late. The car struck the center divider and spun back into the flow of traffic. An oncoming car hit my door. That car was also hit by another vehicle. We finally came to a halt somewhere in the middle of the freeway, hundred yards from the spot of the collision. I didn’t feel any pain. I was just dizzy. I heard Omar and Malik moaning as good civilians tried to pull us out from the wreck. I wasn’t rescued until the firefighters arrived. It was quite a task recovering my battered body from my totalled car. Breathing became difficult. The fire fighters huddled around me and frantically applied device after device . “He’s not gonna make it,” I heard one of them say. I’m not gonna make it? How? I didn’t feel like I was dying. I felt nothing. My heart started pounding. I was soaked in blood and sweat. I saw Malik standing over me with tears in his eyes. “Don’t quit on me”, he told me. At that time I knew it was over. I started to cry. The fire fighters moved him away as they made last attempts to revive me. I died. An angel came to me and removed my soul. I watched him fly away with it in disbelief. “How could you? I’m not even 27,” I pleaded. “Its time,” he told me and left. Two minutes later they pulled a white sheet over me. Omar and Malik, apparently doing better than me, pulled the sheet back to look at me one last time. They cried their eyeballs out. I had known them since I was 13 years old and had never seen either of them cry. It was a depressing sight. The ride to the morgue, until then, was the worst experience I ever had. I was alone. It was dark and cold. I really missed my mom. I missed my brother. I missed my sister. I wished I had spent the night with my family instead of with Omar and Malik. I worried what my mother was going to do when she saw me in this state. I was ugly. When we finally arrived, I was placed in another cold room with dozens of other dead people. I missed my family so much. Every so often a family came in to view their dead. I wasn’t. Hour after hour passed. No mom. No dad. I started to cry again. Then one odd hour I recognized voices. My father walked in with my mother in his arms. His face worn from stress. Hers wet with tears. They cried. I stared back. I wanted to tell them I loved them. I couldn’t. I wanted to hug them. I couldn’t. Mom stroked my bloodied hair and left. I was to be buried the next day. When my parents left, it hit me. I never made Isha! My heart jumped out of my chest. I owed Allah a salah and failed to deliver it to him. I had hundreds of missed salahs over the past 2 years. Now I was about to face him. I felt powerless. For those of you who have never experienced guilt at death, there is not a worldly feeling that amounts to it. 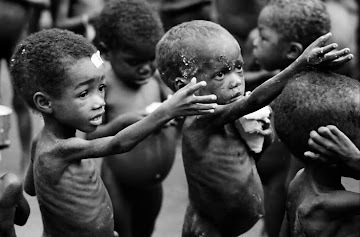 It is a guilt and sorrow at another level. I tried getting up to make Isha but I couldn’t move. It was over. I had no second chance. Then I began to think back I never knew my memory was so good. I had more than enough time to ponder my burial. I literally remembered every salah I missed and the reasons I missed them. Most were laziness, procrastination and neglectfulness. I knew I was in trouble. I wish they would take longer to bury me. I failed. I failed. I failed. My girlfriend paid me a visit, she was a devil. When I was alive I saw her as an angel. My pretty angel who loved me and who would do anything to make me happy. If I had the ability I would have cursed her and demanded her to leave the morgue. She put her hand on my forehead. I had allowed her to do that for the past four years. Now that I apposed to it I could do nothing about it. The devil cried for hours at my side. She would just not leave. I felt cheated, I felt like she pulled a prank on me for the past couple years of my life. I hated this devil, she was ugly, she smelled horrible. She finally left as she walked out the door, my heart was filled with fear and anxiety. The funeral was simple. My body was washed, I didn’t seem to care about my naked body being exposed. My worries far surpassed my desire to be modest. I was wrapped in 3 white sheets. About 3 hundred people attended my funeral, I was saddened not to see my mom at the funeral. I wish she came to see me one last time before they put me in the ground. I never knew so many people cared about me, many just stared at the tightly wrapped figure in disbelief. Others cried, and cried some more. The mass prayed for me. Thousands of individual prayers were made. They asked Allah to have mercy on me. They asked him to forgive me. I wanted to pray for myself. But I couldn’t speak, I was helpless. I was carried to the whole in the middle of the barren desert. The people followed, it seemed like slow motion. I didn’t want to go. If I had 24 bonus hours I would pray nonstop. They lowered my into the ground. The anticipation was eating away at me. I had surely failed in life. I thought back on everything I had worked so hard to accomplish. I earned a college degree, I had a well paying job. I spent hours and hours in the weight room since I was 16 developing my body. I had a pretty girlfriend who loved me. In that life it was a badge of honor. But as they were lowering me into the grave, which seemed like it took forever, I realized I couldn’t use any of those accomplishments. If only I had been that dedicated to making salah five times a day, daily. I would have been at peace right now. Instead I am a nervous wreck beyond anything you all can comprehend. Dirt fell on the whole, darkness overcame my new home. The last shovel of sand filled the grave. Everyone sadly walked away. The graveyard started to empty. Family by family, mine was the last to leave. The attendant left. By nightfall it was just me, all alone. My wrapping was soaking in sweat. I nervously awaited the angels to come question me. They finally did. My final judgment has not been reached yet. I am waiting for judgment day. Still laying here alone as day comes and night falls. 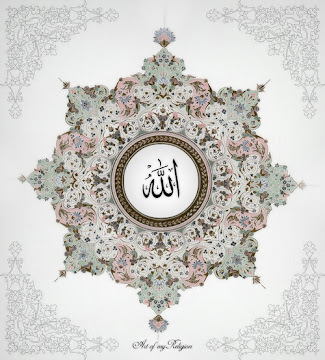 Soon I will meet Allah, himself and he will decide whether to forgive me or not. I can only lay here, and wait. Wait in hope the All forgiving, the Most merciful forgives me and does not punish me. I hope. This is all I have right now. Hope. Print it out, stick it on your desk, and grab a pen. 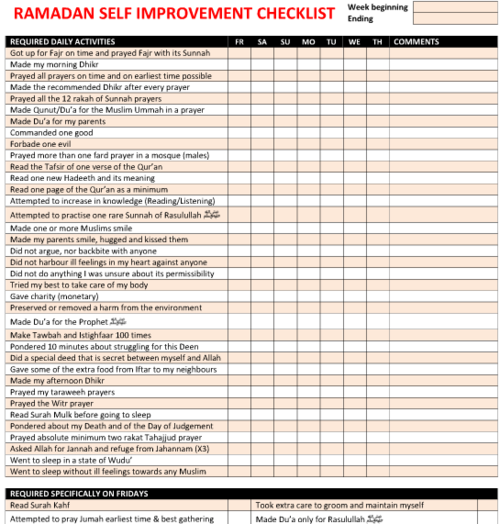 This isn't only beneficial for Ramadan, but year round. We are down to the final days before Ramadan. SubhanAllah, it's crazy how almost a year has passed since last Ramadan. I had an amazing Ramadan last year alhamdulilah. 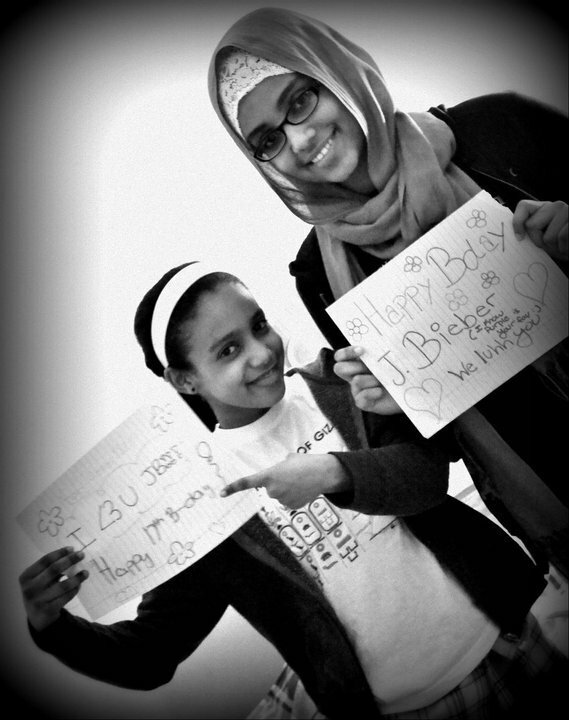 I witnessed a beautiful shahada of a sister I barely knew at the time, but quickly grew to love. I also enjoyed many iftars at the masjid with my university family. InshAllah my Ramadan and yours will be even more blessed than last year. In order to make our Ramadan this year even more productive...we must prepare for it. Yasir Birjas gave ten points for achieving excellence during Ramadan. Have hunger for success: Whatever expectation you have for yourself, you will achieve 80% of that expectation. Don’t make failure an option this Ramadan, have that desire and hunger for success. Set your goals: When you set your goals this Ramadan, set them high! Allah swt set the Ultimate goal for you- and that’s Firdous Al Aa’la insha’Allah! Not only should you set these goals, but commit to them as well. Build confidence this Ramadan: Don’t listen to everyone else if they’re trying to bring you down or if they criticize you on the changes you’re making. But also don’t beat yourself down or be hard on yourself if you fall short of a goal. Do what you love to do: Choose a deed that you like to do and increase it this Ramadan. Whether it be reading the Quran, cooking/feeding people, Qiyaam Al Alail, or even being in seclusion and worshiping your Lord. Increase those deeds in Ramadan. The Prophet PBUH wants us to do deeds that are continuous even if they’re small. Study the successful: Not just study, but learn from those who are more knowledgeable. It will encourage and motivate you to be better insha’Allah. The best examples are the Prophets and Companions. Read stories about them and insha’Allah their amazing characteristics and struggles will motivate you. Be in company of the successful: There’s no doubt the people you associate yourself with will have an influence on you-whether it be a good or a bad influence. If you want to achieve, look for high achievers. Catching their habits is contagious and insha’Allah this will also motivate you to be better. Go all out and work hard: Be serious about your achievements and make them a priority. This Ramadan insha’Allah be a lot more focused on those changes you are trying to make, you never know if this is your last Ramadan or not. Be prepared to change your schedule: Obviously your daily schedule will have to change during Ramadan. At least expect it to change and don’t get back into the habit of your old schedule as The Month progresses. But adapt to your schedule at your own comfort. Also, never make things back-to-back and crowd up your schedule; you never know when an emergency might come up. Never give up: Shaitan is good at making us give up good things, but during this month, shaitan will be locked up so the battle is between you and yourself-never tell yourself you can’t do it. If you have faith in Allah, never give up. Do good until the very last second of The Month of Ramadan, even if you fall a bit short, do not give up!! I'm a self proclaimed reality show addict. I'm a bit obsessed with Teen Mom, Say Yes to the Dress, Keeping Up With the Kardashians, plus some other shows. To make myself feel like i'm actually learning something, I like to watch reality shows and learn how other people live their lives. 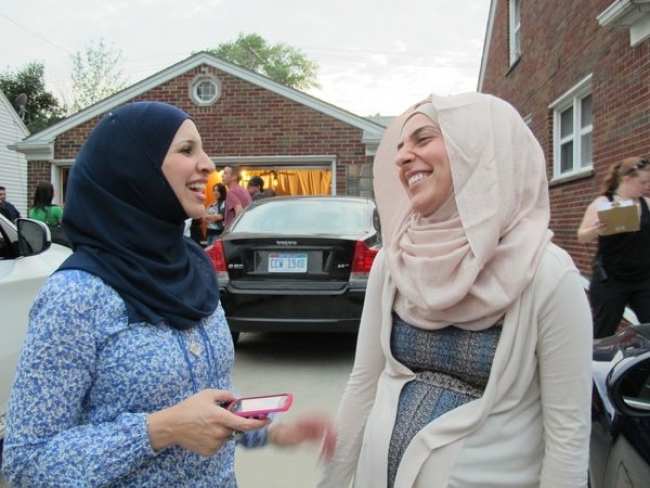 TLC has finally come to their senses and has announced a new reality show that follows the lives of all-American Muslims from Dearborn, Michigan. Dearborn is known to have one of the largest Muslim populations in the United States. I'm super stoked for this show. I think it's going to have a powerful impact on Americans and hopefully alter their views on Islam and prove that Muslims are ordinary people--that is if the show is carefully executed in good taste. The show will focus on the lives of Shadia and Suehaila, Muslim sisters that differ in many ways. Suehaila is a practicing Muslim that wears the head scarf and prays five times a day, while Shadia has tattoos and piercings and is married to a Irish Catholic that is planning to convert to Islam. Newlyweds Nadar and Nawal are also participants in the show and are having a baby while trying to find a balance between their traditional culture and American culture. Finally, Mike, Deputy Chief for the Wayne County Sheriff's Department constantly works to educate the department about his efforts to reduce discrimination and prejudice against Muslims. The reality show will be debuting in November so stay tuned for its premiere. 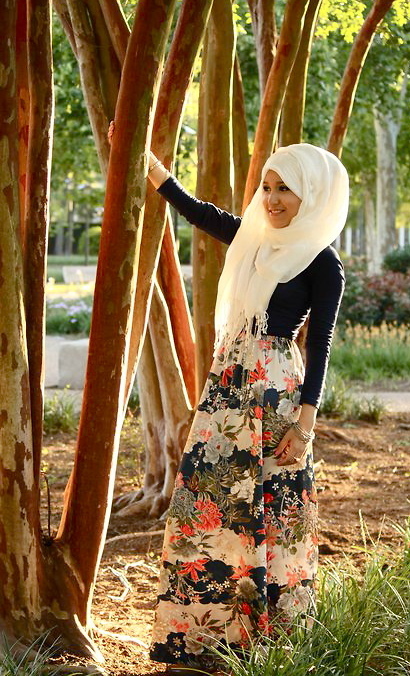 This is a quick list of my top five favorite hijabi items. 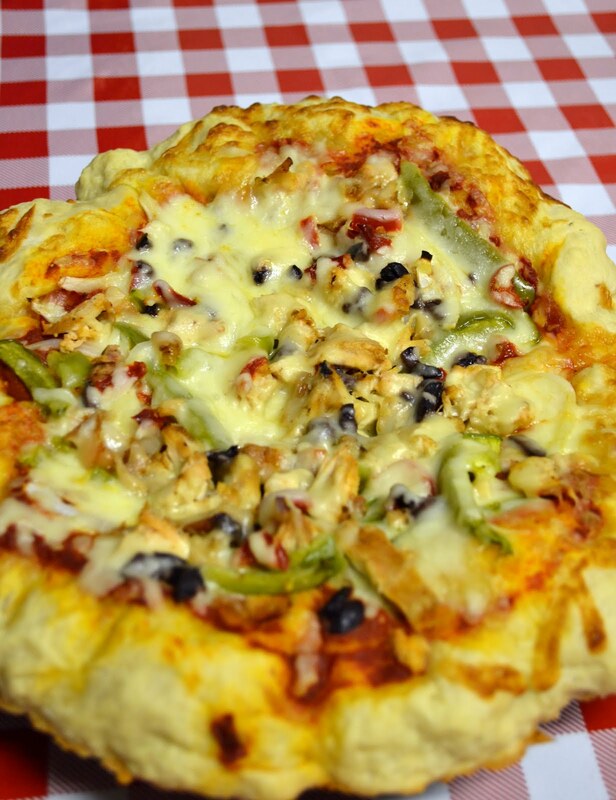 All are items that can easily be put together. I love simple and classy outfits with a high fashion touch. Wear these items how ever you like and don't be afraid to experiment with the different ways you can pair them. My mom is in Sudan for the summer, so guess who does the cooking? My dad, my sister, and I split up the cooking throughout the week. 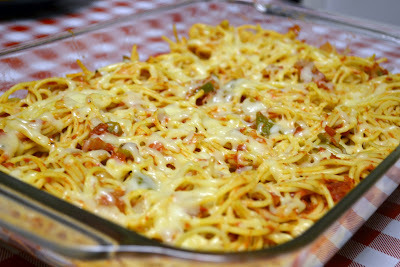 Yesterday was my night to make dinner and I thought why not make pizza and a pasta dish. I don't cook very often, but now that I've had practice making real food, I find cooking and baking to be fun. I like being creative and putting something together that people actually appreciate. I'm not gonna lie, it feels nice when I make something and the plates come back empty. The pizza and pasta was a success Alhamdulilah. On to the next dish! I noticed that many of my readers are females, but I'm aware that I also have some male readers too. Not to put certain brothers out there lol, but a few brother's from my university Islamic Student Association were once arguing over my blog. They were arguing whether it was okay or not for them to read my blog since it's mainly meant for women. 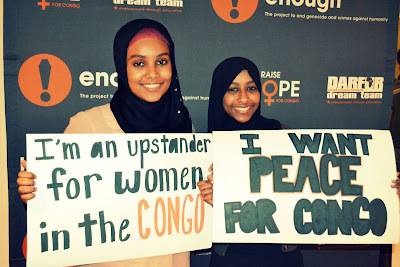 I don't view Beauty of Islam as a women only blog, but a lot of the topics I discuss deal with women's issues. Also, I am a woman after all, so I perceive many things from a female perspective. I appreciate all the brothers that check my blog out and I hope that they will continue to read my posts, even with all its girly-ness. Today I discovered a great blog on Islam from a brother's point of view. After reading his posts I am sure that Muslim men and women will want to read all the amazing things he has to say. Introducing: quest for the one. 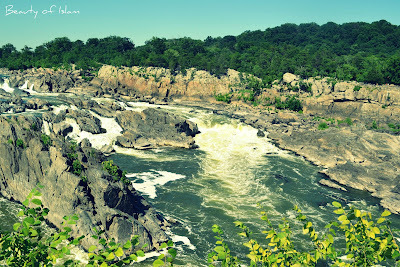 I enjoyed a lovely day at Great Falls. I saw waterfalls, flowers, berries, and beauty in it's natural form. I need to take more soothing, stress free, nature breaks. Yesterday I was blessed enough to have been able to see Imam Suhaib Webb speak. Imam Suhaib gave a great lecture surrounding the theme of "empowering the youth." He did a great job answering questions and tackling issues dealing with the Muslim youth. I walked away from the majid that night with a lot of knowledge and alhamdulilah an iman boost. SubhanAllah every time I go to the masjid I come out feeling better iman wise [alhamdulilah.] The majid is such a peaceful place where I can just leave all of my troubles at the door with ease. Every time I listen to a lecture I like to write down one quote that just spoke to me. "Whoever makes sujood to Allah properly, will never make sujood to the duniya." This quote to me, sums up his entire lecture. 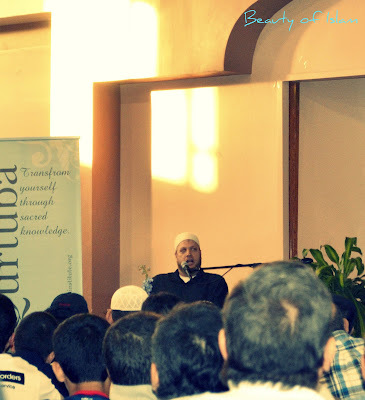 The focal point of his lecture was Allah swt and the youth's connection with Allah. If the Muslim youth better their connection to Allah and stay on point with their prayers, than they won't fall for the tricks of this duniya. Suhaib Webb also touched on issues of gender relations. He focused on one aspect that really stood out. He talked about the fact that chivalry is dying among our Muslim men. Some Muslim men have a misunderstanding of how they should treat their Sisters in Islam. For instance, if a Muslim man sees a sister trip and fall, his first instinct should not be to walk away because it's haram for him to touch her or speak to her. The best thing to do in that situation is to help her up, even if it requires him to touch her. 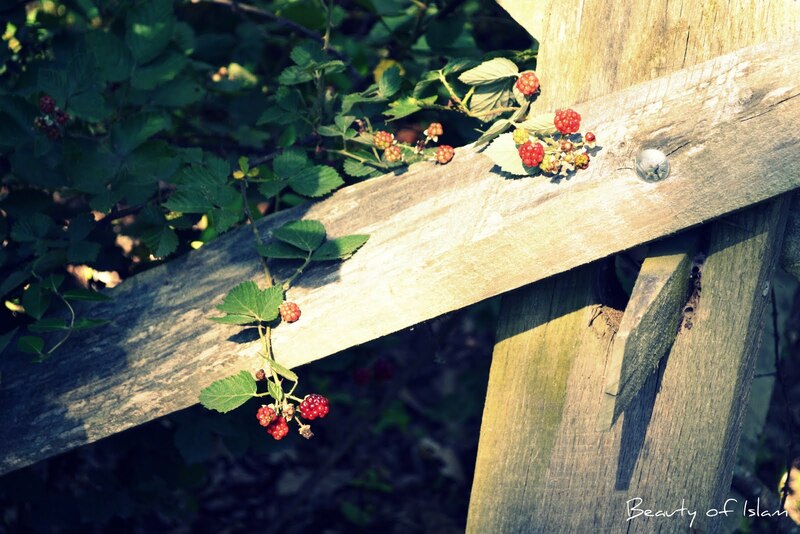 Allah knows his intentions, so in circumstances such as these, women and men can interact past normal boundaries. He also talked about parenting and the relationship between a husband and a wife. If you've never heard a lecture by Suhaib Webb I advise you to check out him out on youtube and to visit his website suhaibwebb.com! If you've stepped foot in a mall in the past month, you had to have noticed the trend with African tribal prints. The simplicity of these prints are beautiful during the summer time. I love the thin, breezy tops that are inspired by African wear. The tribal jewelry also are perfect for summer time. Effortless and Carefree. Legit, when Anderson Cooper started discussing this video on CNN I had to refrain myself from reaching for the remote and switching the channel. I'm getting tired of seeing all these negative videos on the news about Islam. Over the past couple months, I saw only one positive clip on the news that I am so thankful for. 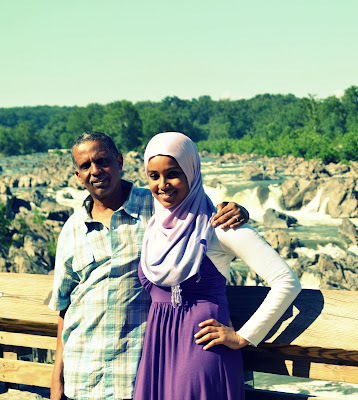 Saheela Ibraheem will be attending Harvard at the age of fifteen. MashAllah TabarakAllah! Too bad CNN won't take more breaks like these to cover positive stories about Muslims in America. Anywhoo back to the video that made me so darn upset. First off, this man claims to have converted to Christianity. Okay, so you left Islam, that is your choice, but please don't go around denouncing our religion. Islam already has a bad reputation in America, and now a "former" Muslim is giving Americans more of a reason to dislike Muslims. I'm glad that the video focused on the fact that this man has no proof supporting his claim that he was a terrorist. If only the media thought twice about the legitimacy of more negative stories that relate to Islam. Maybe than Americans wouldn't have such a negative view of Islam. "A proud flag flies over Juba and the map of the world has been redrawn. These symbols speak to the blood that has been spilled, the tears that have been shed, the ballots that have been cast, and the hopes that have been realized by so many millions of people." 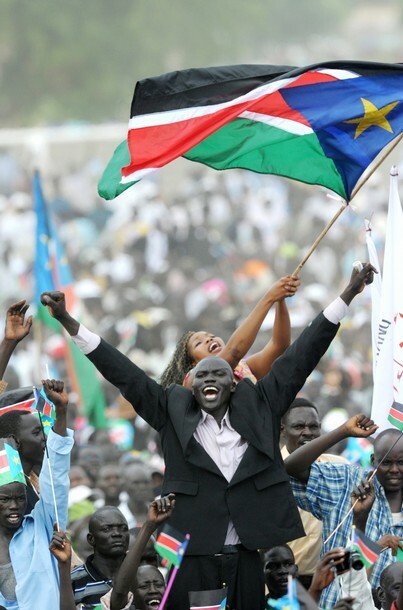 July 9th marked the independence of South Sudan from North Sudan. It still hasn't registered in my brain that when I return to my country next year inshAllah, a part of it will be missing. While the citizens of South Sudan rejoice and celebrate, I remain here wondering, what went wrong? What could have been done? I have had many discussions over the issue and everyone else seems to have already come to terms with the referendum. 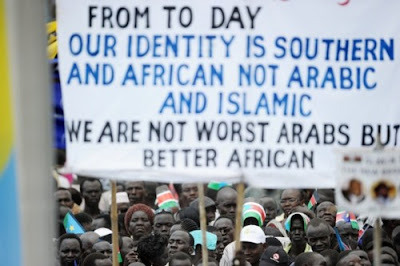 They have accepted the fact that the North Sudanese and South Sudanese just cannot get along. I understand our culture, religion, ethnicity, etc. was all different, but we still had one common ground...our nation. I was raised in the United States, where I was taught that our differences are what unite us. I was taught that despite the differences in our faith, language, or race, we are all Americans. Tolerance is instilled in me. This makes me wonder why the Sudanese people could not have just learned to get along. The idealist in me wanted to believe that there was still hope for a solution besides separation, but in the end it became clear that the Southern Sudanese had had just had enough. I don't blame them though. I have witnessed first hand the discrimination that they faced and if I were them I wouldn't want to deal with that either. I'm just torn between feeling bad for the Southern Sudanese and feeling bad for my country. I think it's best to just let them go and pursue a nationality of their own. They deserve to feel accepted in their own home..their own land where their people understand them and treat them as equals. A Congratulations is due regardless of how I feel about the situation. 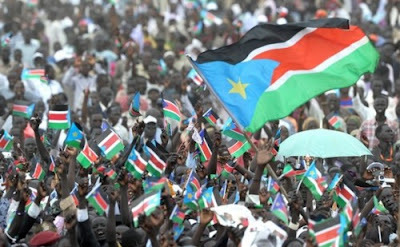 Two Southern Sudan residents wave flags as they celebrate the independance of the south from the north during a ceremony in the capital Juba on July 09, 2011. South Sudan separated from Sudan to become the world’s newest 193rd nation. "We join our brothers and sisters in the Republic of South Sudan as they celebrate this milestone in their history. We pray that all categories of people and groups in the new Republic of South Sudan will lay down arms, embrace peace and work towards nation-building. The new Republic of South Sudan should be a model of tolerance and unity in diversity." 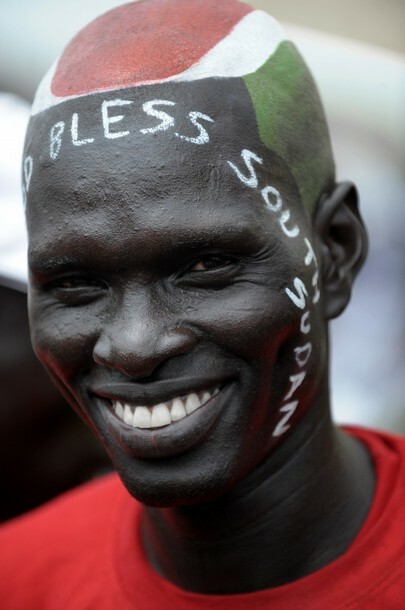 Wuor Luk, 28, a Southern Sudanese man who adorned his shaved head with the colors of the Southern Sudan flag and a ‘God Bless Southern Sudan’ scripture on his face smiles during a ceremony celebrating the independence of South Sudan from Sudan in the capital Juba on July 09, 2011. 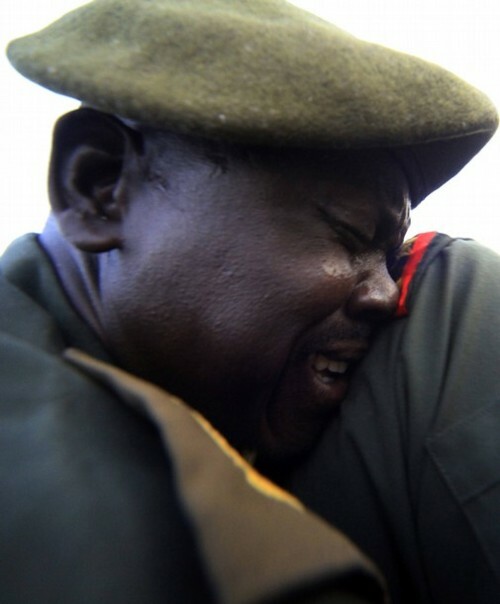 Northern and Southern officers hug during a farewell party, also held to commemorate the demobilization of 16,000 Southern officers and soldiers serving with the Sudan Defence Force, in Khartoum July 7, 2011. Last Wednesday, I was lucky enough to attend The Campus Progress National Conference in Washington D.C. A friend of mind got me the hook up into this amazing event that brought together over 1,000 college students to hear amazing speakers such as former president, Bill Clinton, Gene Sperling, Kathleen Sebelius, and many more. I met many people that shared my interests in politics and social change and received great advice from some of America's most prominent leaders. Following this experience, I have a renewed sense of direction and inspiration in realizing what it is I want to do with my career. The best piece of advice I gained was to base my career off of a cause that I am passionate about. 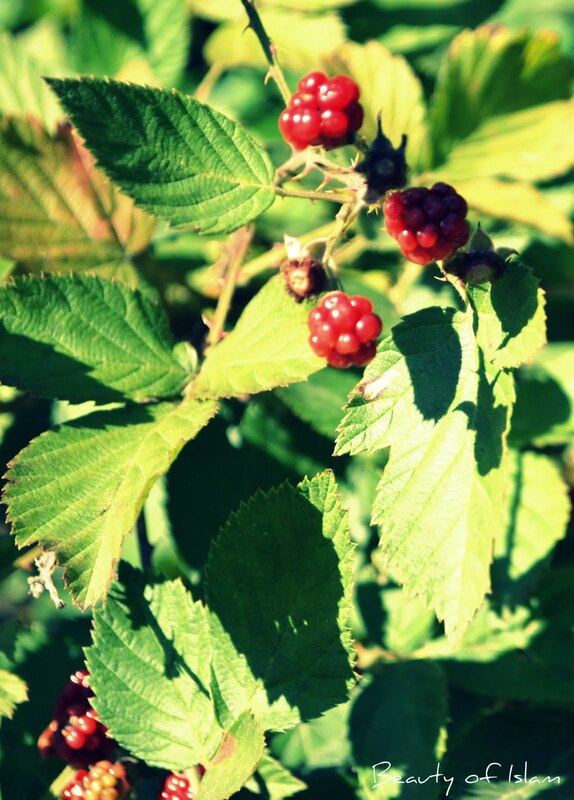 I'm still deliberating what my greatest passion is because I have many, but I am well on the way. Whatever it is I end up doing in the future with my career, I need to make sure it pleases Allah swt. The last thing I want is to look back on my life with regret and feel that I disappointed Allah. InshAllah my career will be something that will be beneficial in this life and the next. "You cant change truth to power unless people know the facts." "There is too much we don't know and too much we don't share, so make sure you know and make sure you share." MashAllah this man is a great leader and an excellent representation of the Muslim community in America. I don't know how many people heard about the hearings held regarding the radicalization of Muslims in America. Congressman Keith Ellison gave a statement at the hearings and in the process he wept as he told the story of a Muslim fire fighter [Mohammad Salman Hamdani who was killed on 9/11. I have a lot of respect for Mr. Ellison. 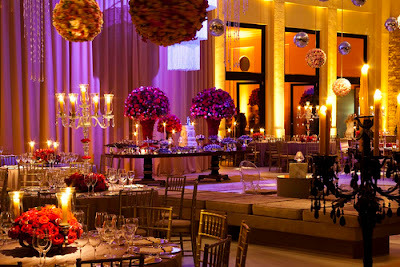 Just like any Muslim girl..scratch that..just like any girl period, I fantasize about my wedding. I think I get more excited about the actual wedding party than the idea of marriage haha just kidding (a life time of bliss does not compare to one day). The idea of having a night dedicated to me and my future hubby excites me. I also love to plan events. I consider myself good at coming up with ideas and making them into realities, so putting together my fantasy wedding would be a lot of fun for me. This would be a gorgeous engagement dress. Maybe another color, like turquoise would be even better! This lovely poem was by my younger sister Rayyan. She's 11 years old and wise beyond her years. I think her being the youngest has aloud her to grow up faster. She has my brother, older sister, and I to look up to. I try my best to be the best role model I can be for her. I remind her everyday to pray her prayers so Allah can help her and Alhamdulilah she listens to me. We listen to Islamic lectures together and read Quran instead of listening to Selena Gomez and Justin Beiber, no matter how obsessed she is lol. I love my younger sister soo much and I'm so proud of her. InshAllah, she will grow up to be the talented and courageous young lady I know she can be. It's been a little over a month since my discrimination incident and since than I have done my part in contacting organizations that deal with social injustice. Right now it is simply a waiting game. For about 2 weeks now, I have done many interviews with the media and have done my best to get the word out. It's been crazy seeing the headlines on random sites stating [Muslim Woman Claiming Air France Discriminated Against Her]. It's so weird knowing that this headline is talking about me. Seriously all I wanted was to get a well paying summer job..instead I ended up on the news with a possible law suit in the future. One of the weirdest aspects of this experience is the article that got posted in a Sudanese news paper with my face literly posted all over it. My mom and sister are in Sudan and they called to let me know that people keep coming over with the article after recognizing me from it. Alhamdulilah, deep down inside, I'm happy and glad that this is not all going to my head. I'm actually not liking all the attention surprisingly. I just wanna get all of this done with and have justice be served. It's really unfair that AirFrance gets to discriminate against me and just go on with business, while I'm forced to sit here on my summer break and deal with phone calls all day and sign legal papers to get everything sorted out. I need patience. Who knows, maybe tomorrow I'll get a call from AirFrance saying that they want to settle the dispute. Or maybe, they will want to fight this battle out. Either way, Alhamdulilah for everything. Allah is The Most Just and he never gives anyone less than what they deserve. This is a test and through Allah I will get through this trial God Willing. Through my Beauty of Islam blog, I like to discuss Islamic topics, but I try my best to stay away from discussions on fiqh because obviously I am no scholar by any means. However, I do not mind mentioning some topics related to fiqh, as long as my readers understand that they should still follow up with a more credible source such as The Quran or a local imam. The topic I wanted to bring up today is that of plucking the eyebrows. Some people, myself included, have tried to argue and wonder how does plucking eyebrows constitute as changing Allah's creation. The hadith that states that the woman who plucks her eyebrows is cursed by Allah is the evidence that scholars use when they claim that plucking is "haram." Allah knows best. I do not know everything related to this topic and in no way am I claiming myself that it is haram for sure. On The Day of Judgement, Allah will question those that go around telling people such and such is haram, so again I'm not saying it is haram for sure. I just wanted to give my point of view on it, not even in regards to the hadith. 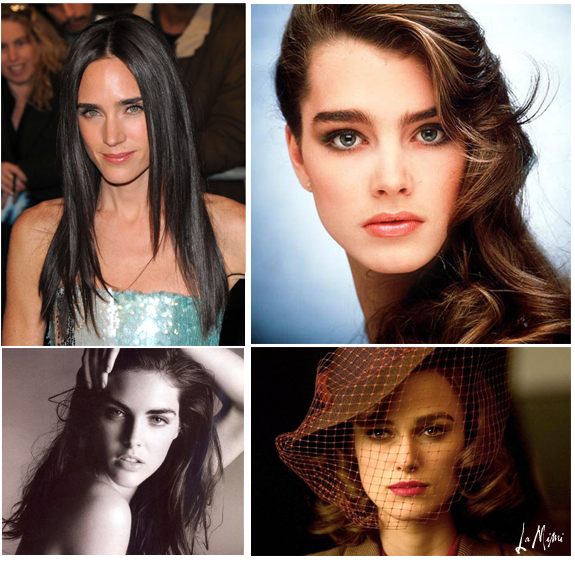 While I was researching on eyebrows and how to get the "perfect' set of eyebrows in our society, I came across this. The website made this statement about getting beautiful eyebrows. "A few tweaks here and a few tweaks there and you look like a completely different person." This fashion site, like many others, is telling women that by plucking their eyebrows they will be transformed. 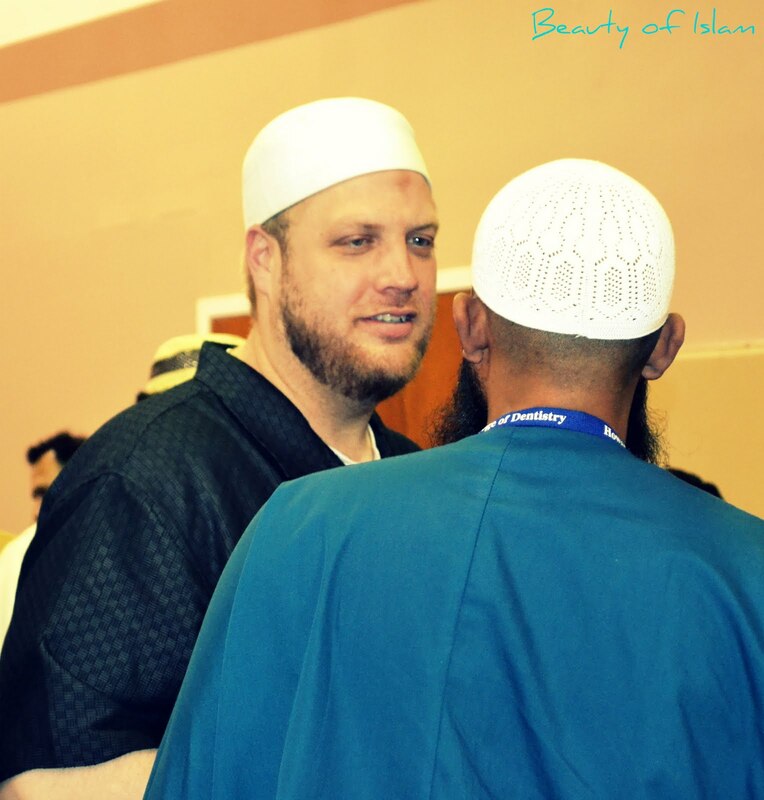 Allahu A3lam, when "beautifying" myself in a halal Islamic sense, I would not want to "completely transform" myself. As Muslim women, we may beautify ourselves to a certain extent, but not to an extent where we do not appear natural anymore. Another reason I don't like to get my eyebrows tweezed is because of the pain! The pain that you go through to get your eyebrows done..is it really worth it? The last time I got my eyebrows done, I remember this exact thought running through my mind: "OhMyGod, why am I putting myself through this pain?!? This is so not worth it!!" Seriously, since than I have not touched my eyebrows. Also, subhanAllah, I now find natural eyebrows to be more beautiful than shaped eyebrows. It's also better to let your eyebrows grow naturally, rather than removing hair from them. Many women as they get older complain that their eyebrows are getting thinner and thinner due to plucking throughout their lives. Why not just let them grow naturally and tame them with some of these tips. Since I was in middle school before I ever plucked my eyebrows, I used Vaseline to hold them down as a gel. Recently I learned the best tip ever!! I actually learned it at the eyebrow salon, after the eyebrow lady told me that I had curly eyebrows. Haha, seriously my curly eyebrows are the reason for the issues with the idea of plucking "possibly" being haram. My eyebrows tend to get "bushier" than the typical girl because they are curly at the ends. The solution the woman gave me was to use fresh lime juice. I thought it was weird at first, but after trying it, I seriously fell in love. I just took my eyebrow brush and dipped it in the lime juice, than brushed my eyebrows. My "curly" eyebrows cooperated all day long alhamdulilah. Like I said earlier, I'm not here to tell you it is haram or not, I don't know, Allahu A3lam. All I want to say is for you to think about how it makes you feel. I personally don't feel good about myself when I get my eyebrows done and I want to please Allah swt. I want to stay on the safe side, but still feel like a woman. InshAllah my eyebrows will continue to cooperate and hopefully one day I'll have a for sure answer to this daunting question. Aren't their eyebrows GORG? Some people are just born with beautiful eyebrows mashAllah! I remember how my friends and I would get super excited every time Boonaa Mohammed would release a new poem. We kind of stopped listening to his poetry as much as we used to, but every now and than I still like to listen to one of my favorite Boonaa poems while getting ready in the morning. Hey, it beats listening to music by a long shot. His poetry always gives me an iman boost and inspiration to better myself as a Muslimah. Take a listen to his newest poem and enjoy it bi iznillahi ta'ala (With Allah The Most High's Permission). Like many Islamic videos, this one also did not fail to give me chills and maybe even a few tears. SubhanAllah, love is one of Allah swt's miracles. Someone once conveyed to me how amazing it is that Allah created such strong feeling between people. It's hard to understand the power of love until you experience it for yourself, and inshAllah you will one day. After you read this beautiful letter from a Mujahid to the love of his life [his wife], please listen to a great lecture called [The Fiqh of Love] by Shaykh Yasir Birjas. It will explain every aspect of marriage and love in Islam so when that special someone comes into your life inshAllah, you will be prepared and know your rights as a wife or husband.